Jazz singer, composer and arranger Carmen Lundy hails from Miami, Florida and received her B.M. degree from the University of Miami. In 1978, Lundy moved to NYC and in 1985, she released her first solo album entitled Good Morning Kiss, which topped the Billboard chart for 23 weeks. Currently on the Afrasia Productions label, Carmen released her newest album Code Noir in February 2017, which debuted at #9 on the Billboard Jazz Chart and received both critical and popular acclaim. 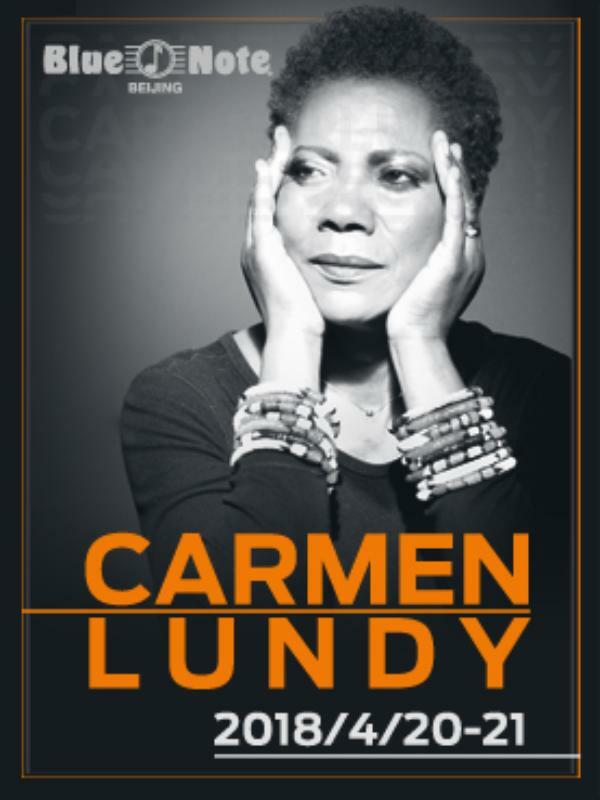 Carmen’s previous releases including Night and Day, Self Portrait, This Is Carmen Lundy, Jazz and the New Songbook: Live at the Madrid, Come Home, Changes, and Soul To Soul among others, have all topped the Best Albums and Top Ten albums lists on Downbeat and JazzWeek. Terri Lyne Carrington’s Mosaic Project - Grammy Winner for Best Jazz Vocal Album of 2011- features Carmen Lundy and her original composition “Show Me A Sign”, reinvented on the album. In January 2018, Carmen Lundy received the RoundGlass Music Award for her song "Kumbaya" from Code Noir. In 2016 she was honored with the 2016 Lifetime Achievement Award in Jazz by Black Women In Jazz and The Arts, in Atlanta, GA. Among her other awards and recognitions, especially rewarding was Miami-Dade's County Office of the Mayor and Board of County Commissioners proclaiming January 25th "Carmen Lundy Day”, along with handing Ms. Lundy the keys to the City of Miami. As a composer, Ms. Lundy’s catalogue numbers over 100 published songs, one of the few jazz vocalists in history to accomplish such a distinction. Her compositions have been recorded by such artists as Kenny Barron, Ernie Watts, Terri Lyne Carrington, Straight Ahead and Regina Carter. Carmen’s far-reaching discography also includes performances and recordings with such musicians as brother and bassist Curtis Lundy, Ray Barretto, Bruce Hornsby, Mulgrew Miller, Kip Hanrahan, Courtney Pine, Roy Hargrove, Jimmy Cobb, Ron Carter, Robert Glasper, and the late Kenny Kirkland and Geri Allen among others. Carmen Lundy’s work as a vocalist and composer has been critically acclaimed by Jazz Times, Downbeat, The New York Times, The Wall Street Journal, The Los Angeles Times, Variety, The Washington Post, and Vanity Fair among others, as well as numerous foreign publications.